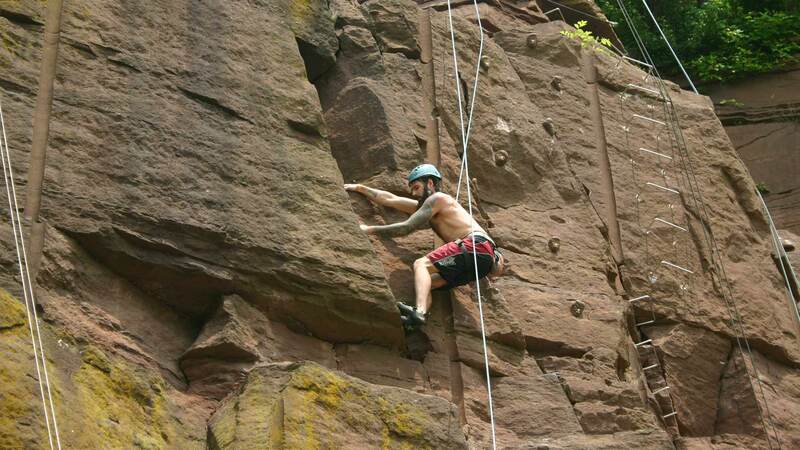 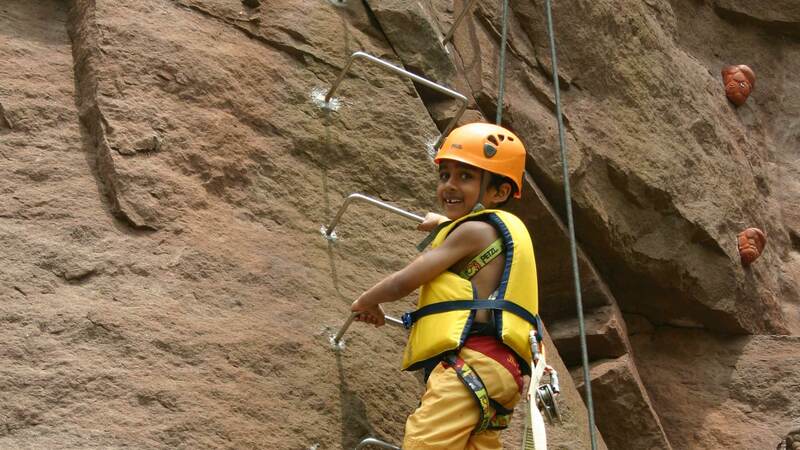 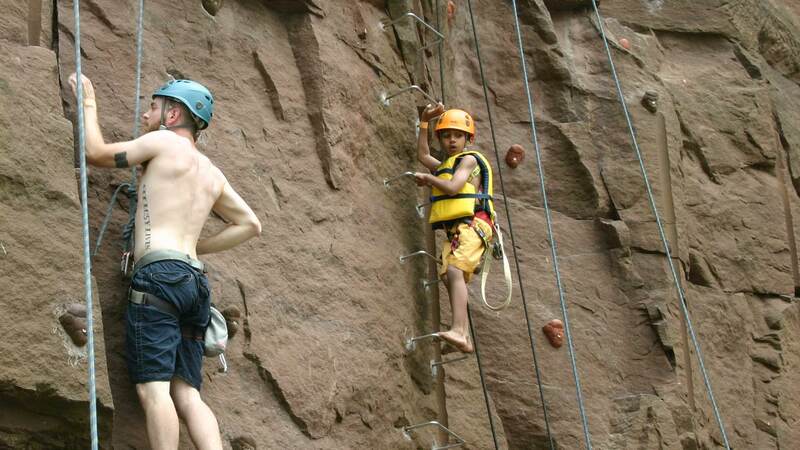 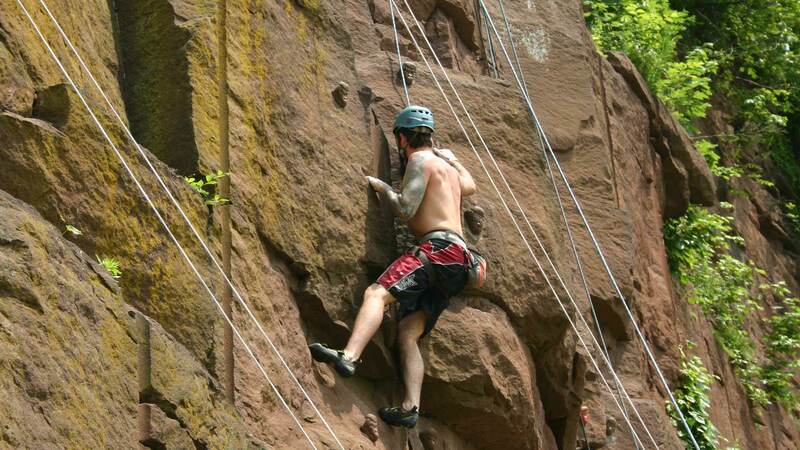 We’ve taken some time to create quite a few easy and more challenging routes taking you up more than 70 feet. 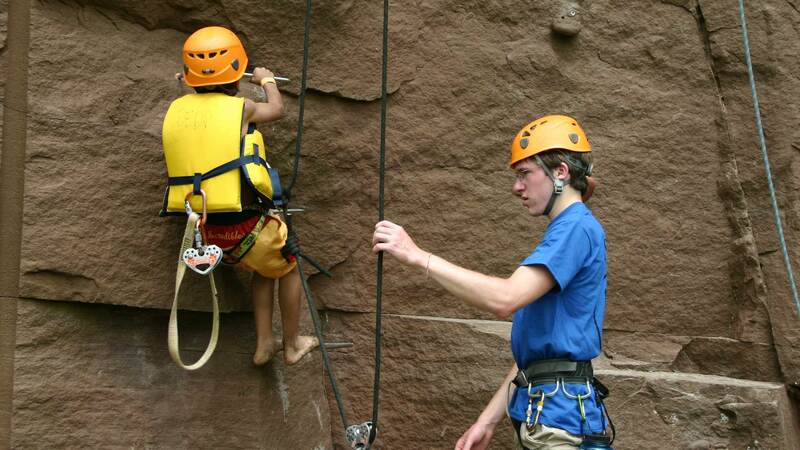 Yes, we have a ladder, but you can also choose hard climbs, all while hooked in to a harness with your own belayer as you climb. 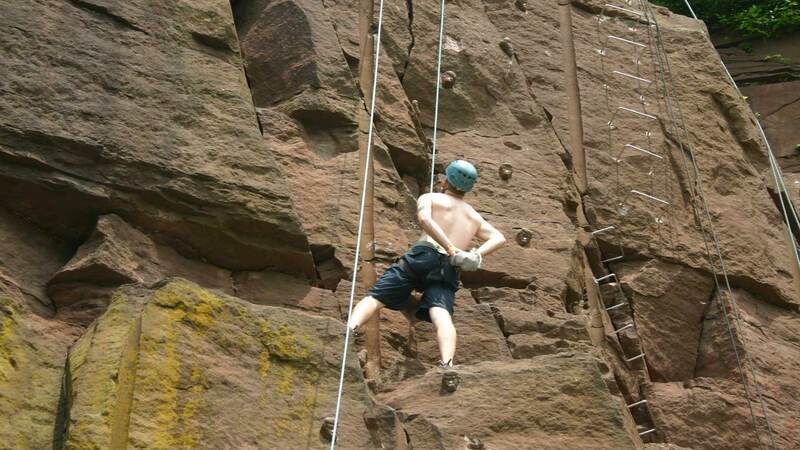 Once you get to the top, there are multiple zip lines to bring you back down.